The landscape of the technology industry is in a constant state of flux. Especially, if you are a competitor in the mobile arena. One week you’re ahead and next week you’re behind. Today you might be the top dog and tomorrow might be a whole different story. It is hard to keep up, let alone be a frontrunner in the race to capitalize on the mobile device market. Here are three companies willing to fight that uphill battle. I’m sure you have heard of Nokia before. Maybe not in a while or as often as you used to, but you are probably aware of them nonetheless. Nokia has been around for 154 years. Yes, you did the math right, they were founded in 1865. However, they did not enter the telecommunications industry until the 90s. At one point they were a giant in the mobile industry. Roughly a decade ago they owned a large portion of the market, which is now split between Apple and Samsung for the most part. They recently launched their new Aandroid smartphone, the Nokia 9 PureVview. The PureView was designed with a certain target market in mind. The selfie-takers, the instagrammers, I guess 99% of millenials to be exact. Just kidding (not really kidding though). People who enjoy taking pictures might want to consider this device, due to the fact that it has a penta-lens camera. What does that even mean? Basically, it has five cameras. This definitely sets it apart from any other smartphone on the market. The question is, will this be enough to gain some traction in the marketplace? Can Nokia make a comeback? Here is another company I am sure you are familiar with. Motorola has been around for 90 years. Not nearly as long as Nokia, but they aren’t rookies either. They were actually responsible for introducing the DynaTac 8000x into the market in 1983. This was the first commercially sold portable cell phone. You remember that big blocky phone that looked like a brick? Yea, that’s the one. We have come a long way since then as you can imagine. Motorola is also responsible for manufacturing one of the most popular devices of all time. The Motorola Razor reached 130 million units sold! I even had one myself! The company recently announced that they are going to do it again. This time they will be incorporating the new folding screen technology to give their popular design the functionaloity of a smartphone. This new folding screen technology is extremely new, but if all goes according to plan, Motorola could potentially have a repeat of their previous successes with this device. 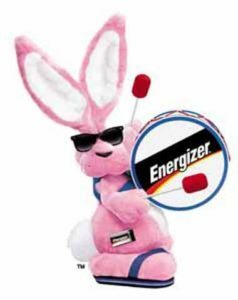 Coming in at a whopping 123 years old, Energizer is entering the mobile market for the first time. They are recognized globally as a popular manufacturer of batteries. When you think of this company, the first thing that comes to mind is probably that big pink bunny from their commercials beating his drum all over your TV screen. Never in a million years would anybody have guessed they would design, develop, or sell their own smartphone. What makes this story even more interesting is the fact that the phone is actually shaped like a battery. The camera pops up out of the top of the phone, which causes the phone to resemble a phone-sized battery! This is a huge shift for any company to make. Switching markets and competing with companies that have already established themselves is definitely no easy endeavor. I just hope that at least the battery life on these phones lives up to the company name. At the end of the day, we have to adapt to survive and innovate to thrive. That’s the way of the world, whether we like it or not. These companies are doing the best they can. Will their best be good enough? Only time has the answer to that question. But for now, what I can say is this: maybe an old dog can learn new tricks.